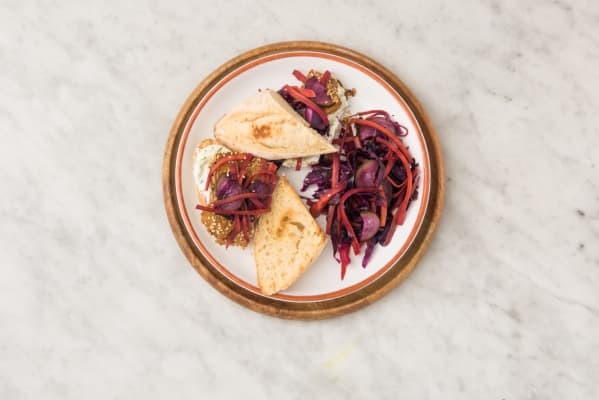 Sesame and hoisin glazed tofu is sandwiched inside a toasted baguette and topped with a rainbow slaw and cilantro-mayo. Bring this Vietnamese classic with a French flair into your kitchen! 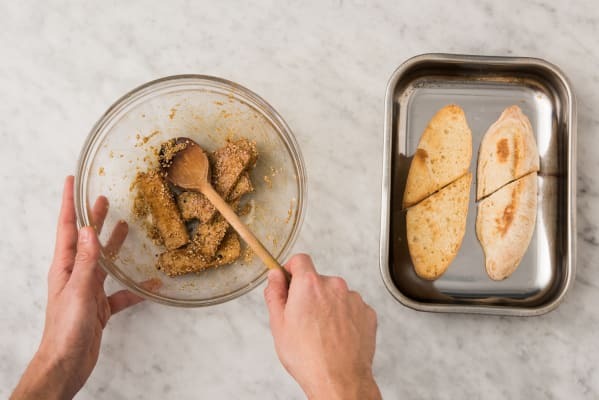 Preheat your broiler to high (to broil tofu and baguette). Wash and dry all produce. * Cut cucumber(s) in half lengthwise, then thinly slice into 1/4-inch half moons. Heat a large non-stick pan over medium heat. 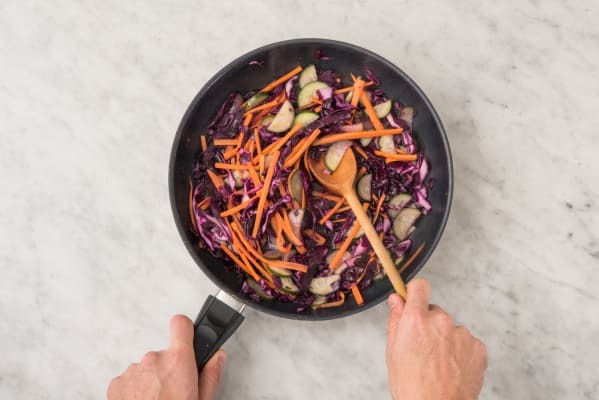 When pan is hot, add cucumbers, carrots, cabbage, vinegar, 1/4 cup water (dbl for 4 ppl), 2 tsp sugar (dbl for 4 ppl) and 1/2 tsp salt (dbl for 4 ppl). Cook, stirring often, until veggies are tender-crisp, 3-4 min. Transfer pickled veggies, along with liquid, to a medium bowl. Transfer to the fridge and set aside. Wipe pan clean. Pat tofu dry with paper towel, then cut into 1/2-inch slices. Cut each slice in half lengthwise. Season with salt and pepper. 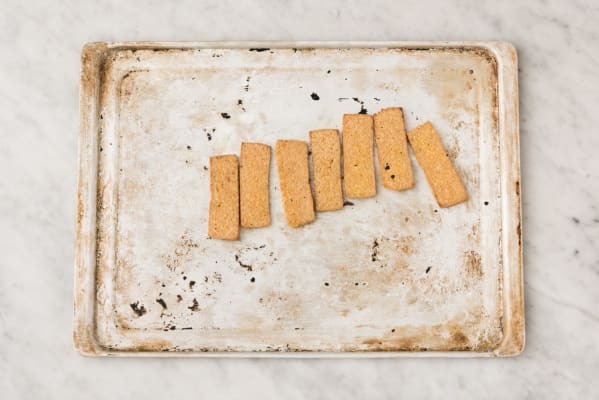 On a baking sheet, toss tofu with 1 tbsp oil (dbl for 4 ppl). Season with salt and pepper. Broil in middle of oven, flipping halfway through cooking, until golden-brown, 9-10 min. Meanwhile, heat same pan over medium heat. 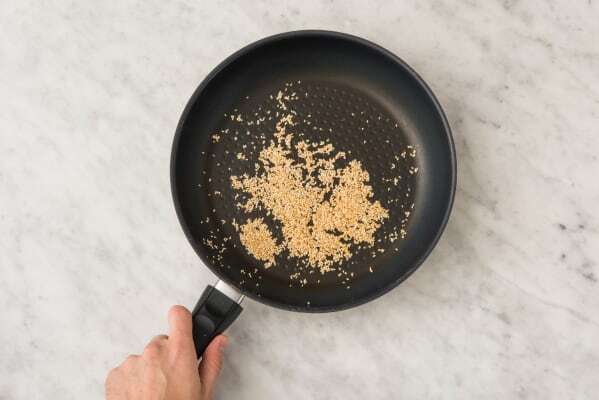 When pan is hot, add sesame seeds to dry pan. Toast, stirring occasionally, until golden, 4-5 min. (TIP: Keep your eye on them so they don't burn!) Transfer to a small bowl and set aside. Roughly chop cilantro. Drain pickled veggies and return to same medium bowl. 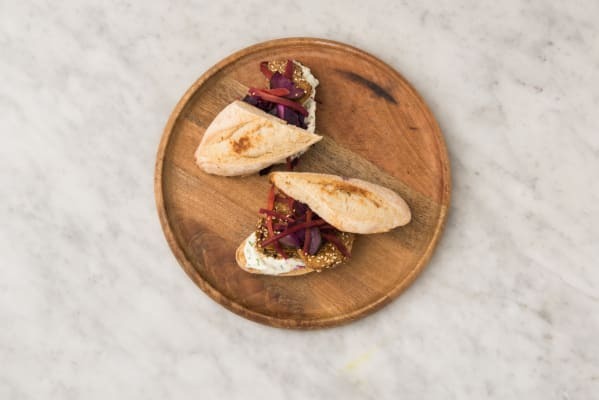 Spread cilantro-mayo over bottom baguette buns. Top with hoisin glazed tofu and half the pickled veggies. Add 1 tbsp oil (dbl for 4 ppl) and remaining cilantro into bowl with remaining pickled veggies. Season with salt and pepper, then toss together. 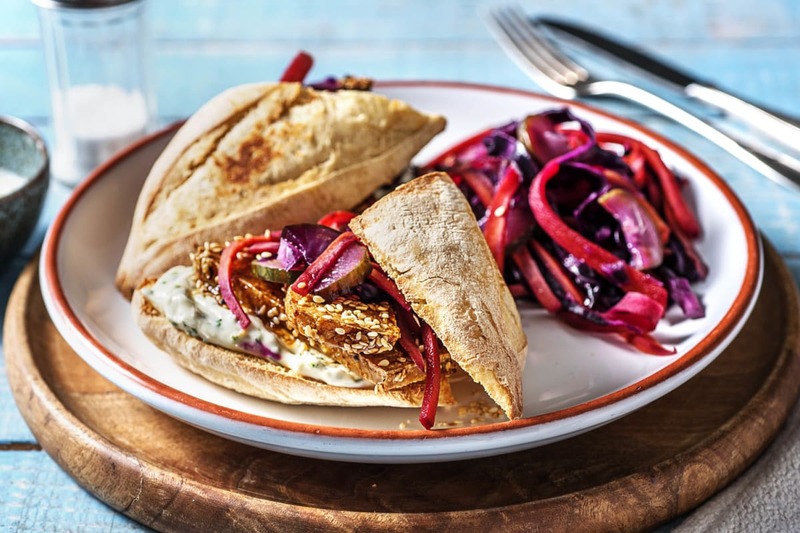 Divide hoisin glazed tofu banh mi and rainbow slaw between plates.